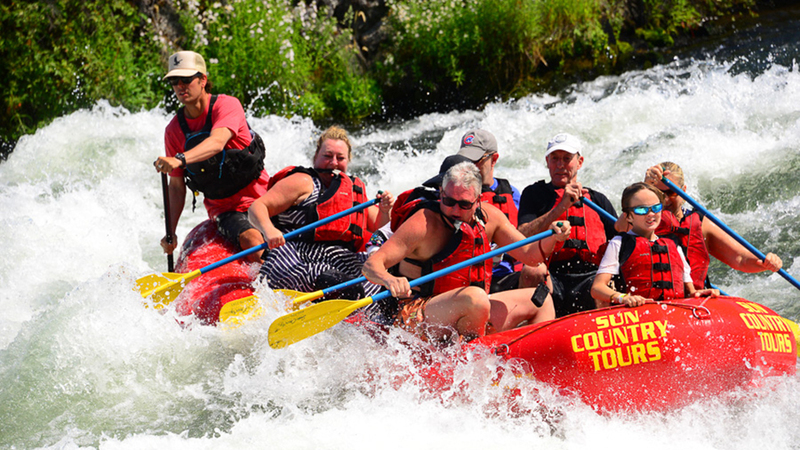 Sun Country Tours has been creating unforgettable experiences for thousands of guests on the beautiful rivers of Oregon since 1978, with a mission to provide access for local families and visitors to the region. Beginning as a small, garage-based operation, it quickly grew into a revered river outfitter that provides expert guiding, state-of-the-art professional equipment, and impeccable customer service. A Hall of Fame Award Winner on TripAdvisor, they have the perfect adventure for you and your group based on where you are staying, if you’re looking for a part-day or full-day trip, what day of the week you want to raft, and the kind of scenery you are looking for, including the Big Eddy Thriller, a Class III whitewater rafting trip only minutes from Bend, an iconic family experience that they have refined and mastered for almost 40 years. Choose from whitewater trips, river tubing, and stand up paddle adventures, or get an Ultimate Adventure Pass that allows you to pack several adventures into three days for $169 per person.